Allow me to transport you to a not-so magical place. Okay, it isn't even hypothetical. It's the courtyard of Somerset House, where twice a year, hundreds of fashion editors, journalists, buyers and customers flock to see the showcases of some of the best and brightest that London has to offer. I was waiting for a show to start and trying not to stumble on the rain-slicked cobblestones, when I noticed something strange happening. Men and women entered the courtyard wearing elaborate ensembles, with either a key piece prominently displayed or a look so startling and chic, that they spurred the seemingly slumbering crowd into action, brandishing smart phones and/or DSLRs to capture the moment. I assumed these people were celebrities from the latest reality TV or indie movie scene, but as I watched more closely, I saw that instead of entering a venue within Somerset House, they made a lap of the courtyard, counted to ten and returned to the hallowed arches, only to repeat the process again. I was puzzled by this display until I realised I had just witnessed the what Street style has become. Street style used to hallowed ground, populated only by a few anthropologists/photographers, who became fascinated by the aesthetics of certain people they encountered in the street. These people weren't trying to be photographed; they were just normal people going about their normal lives, and their clothing told an interesting tale. With the rise of the insta-celeb i.e. a person made famous just by their relentless presence blogs and social media, Street Style has taken on a whole new meaning, which at best, can be interesting, and at worst, be downright annoying. The really irritating part is how disingenuous it has become. If we were to see these people at 10am on a Tuesday morning in Tesco, they wouldn't be wearing head-to-toe Fluoro or bunny ears or any of the other ridiculous pieces that seem to make their way into the Fashion Week coverage. 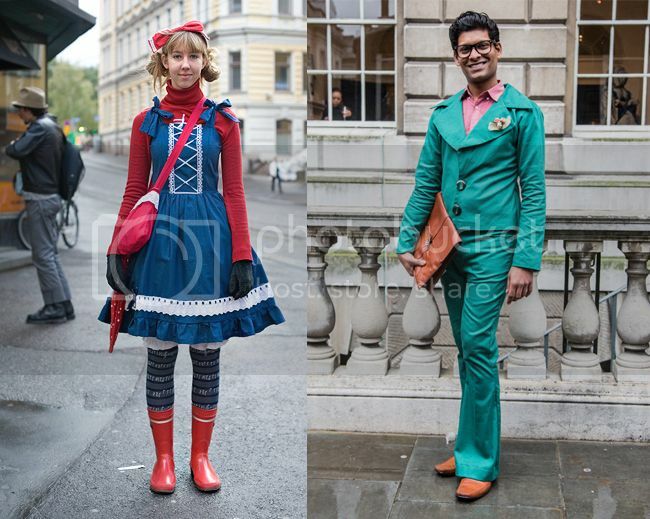 The more ridiculous the outfit the more they draw the lens of the mostly middle aged male photographers that stalk Somerset House, which means that paps are sending picture editors images of the freakishly overdressed. That, to me, is not true fashion. In the real world, clothing tells a story and our own individual style combined with the pieces we choose, communicate a lot about our lives. Brands are getting in on the Street Style action as well. Some of the most photographed Street Style stars get sent clothing, in the hopes that once worn and photographed, it will translate into further publicity and sales. Magazines also regularly stage their own 'street' shoots, with only small credits tucked neatly in the corner of the page. Surely, this laughs in the face of authenticity, and it makes you wonder if the pioneers of street style photography, such as David Bailey and Scott Schuman (allegedly) openly weep when they see what it has become. Others argue that rather than Street Style being out of control, these overly photographed individuals actually contribute to the fashion dialogue and provide inspiration, not only to readers, but to designers. Many designers, including industry veteran Marc Jacobs, have sited subcultures, club kids and yes, street style as sources of inspiration. Fashion Fox takes a look at the rise and possible fall of the Street Style phenomenon during London Fashion Week. 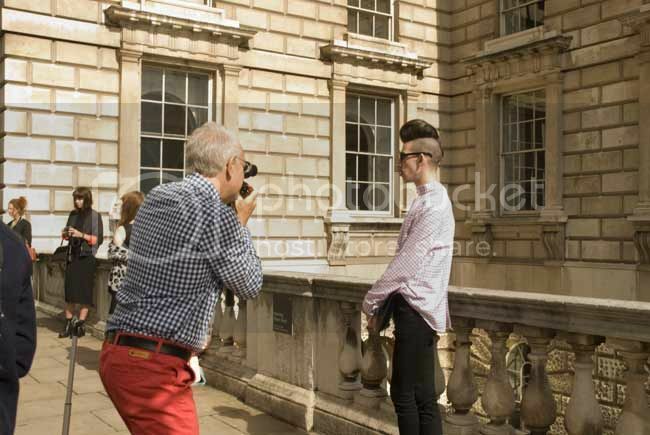 Do the so called fashionistas who loiter at Somerset House to be papped by photographers and fashion fans wielding smart phones really add to fashion or are they just a symptom of our celebrity culture and insatiable thirst for online fame?